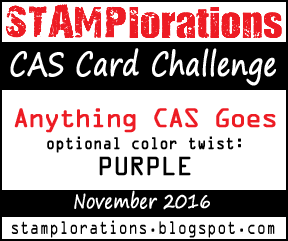 Stamplorations CAS November Mid-Challenge Reminder! The Stamplorations November Challenge with optional purple color twist is still going strong. Come join in the fun! 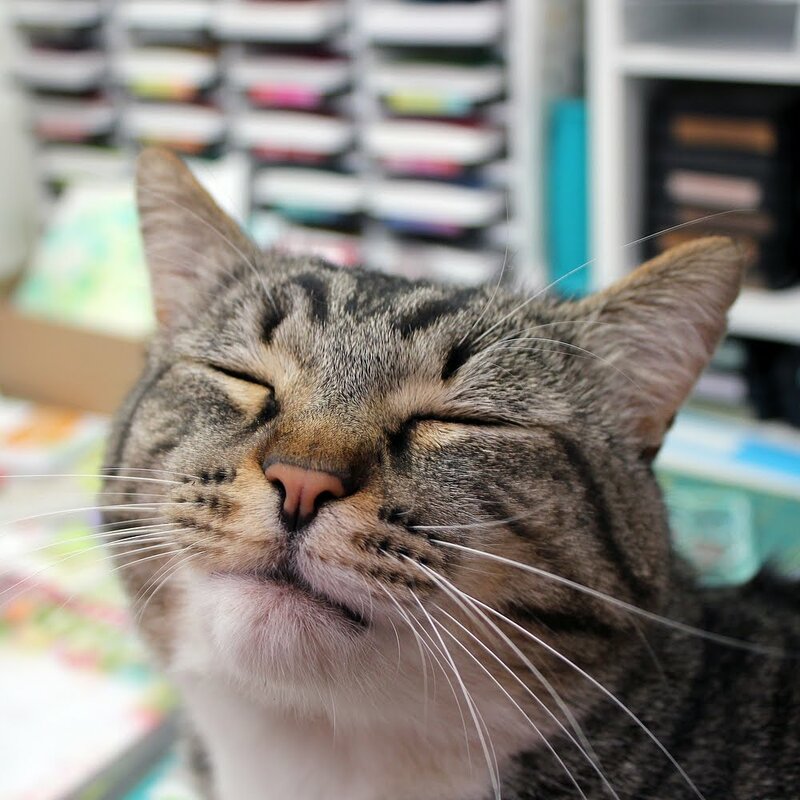 Stamplorations is having a special Giving Thanks Blog Hop with prizes and inspiration out the wazoo! It runs between now and November 27. 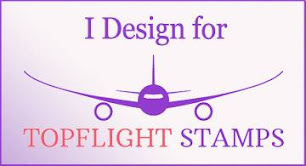 Lots of way to participate and win so be sure to read full details on the main blog--doesn't get better than that! 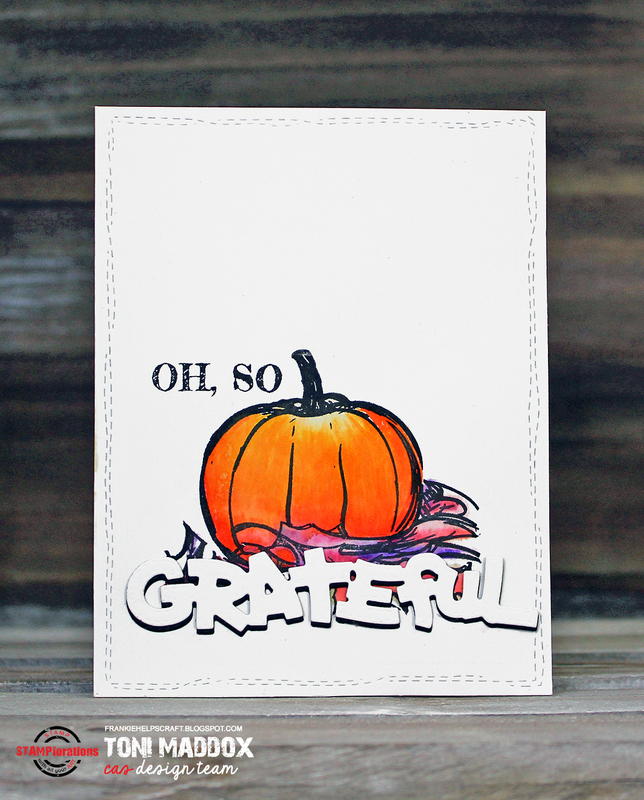 For my card, I used the Oh, So Grateful and CUTplorations Grateful die. Seriously love! The pumpkin is a great size. I can see lots of possibilities with it beyond the Zigs I used here, can't you? Brushos, adding a jack-o-lantern face, paper-piecing. Squee! The die is super fun too. Did you notice the stitched edge? A bit hard to tell in my photo but a great impact irl. 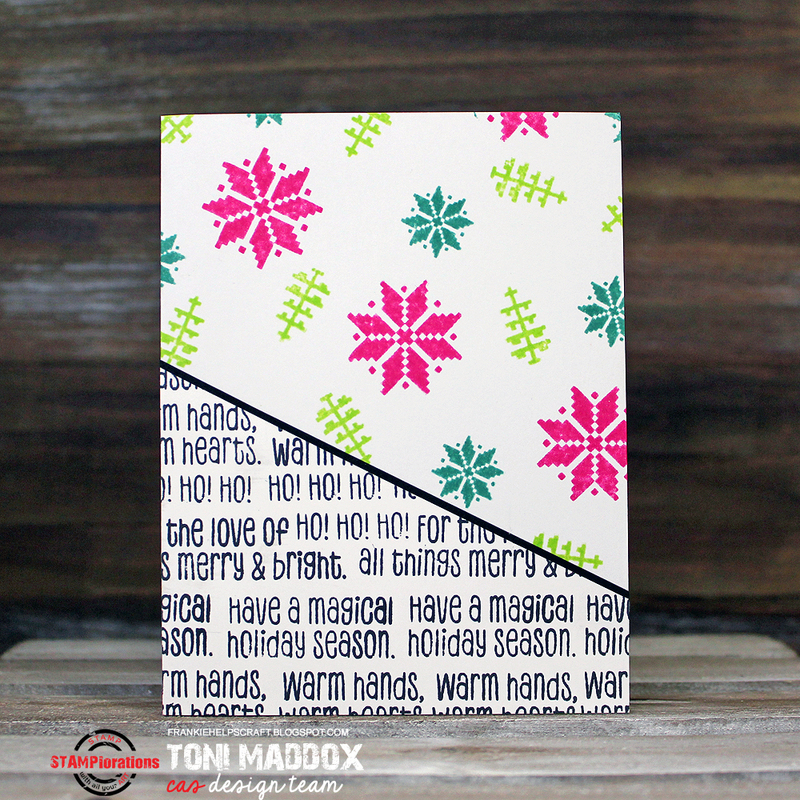 The stitching of the Crazy Double Running Stitch Rectangle die is just perfect for this project. A touch of whimsy. Now go get hopping and winning and entering! 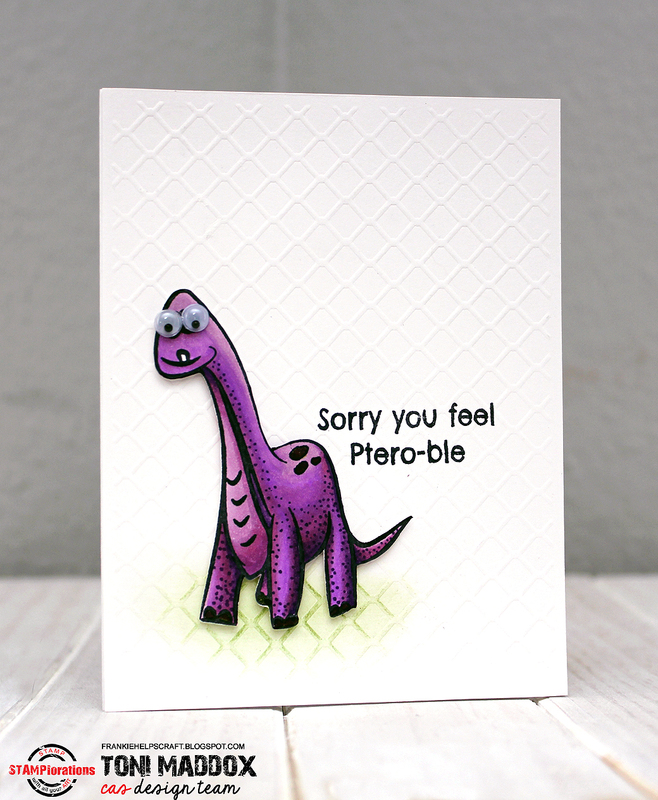 Boy, do I have a cute card for you today. Look at that little guy! I used the Concord and 9th Take a Bough die, 3 of each size diecut, colored with various brown Copics, to create the dam. That turned out fab. Lots of layers and depth but easily mailed. I then colored up the beaver and positioned him on top of his makeshift dam. He's so sweet with that heart and cute smile. The Warm Wishes diecut I colored with Copics ombre-fashion (R22-29, 39). 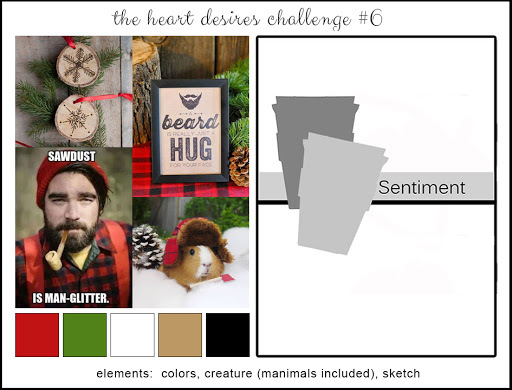 Be sure to stop by The Heart Desires Challenge #6 and join in the fun. What a great inspiration pic! I worked up two cards using the MFT raking girl. 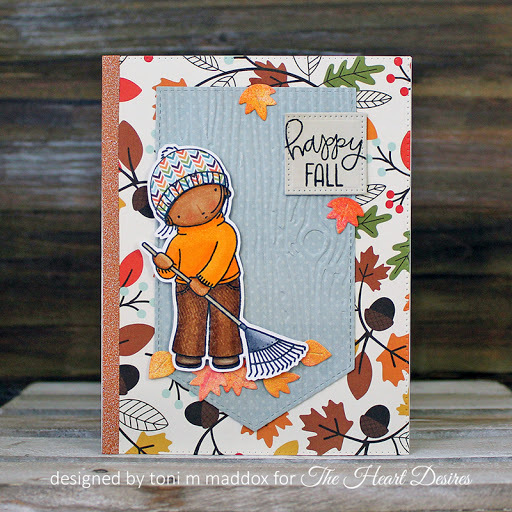 The first is my typical fall scene with a masked and sponged background, sponged leaves, and a slider. I love seeing her actually rake leaves. So cute! 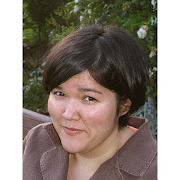 Although I raked leaves the other day--I should have added much rosier cheeks and sweat to her. LOL. For the other I experimented with skin tone. I love how she turned out. I do wish I could have kept her turtleneck yellow as I had intended but I picked up the wrong color at one point and had to orange her top up to cover it. I also applied jeans texture to her pants. Neat! 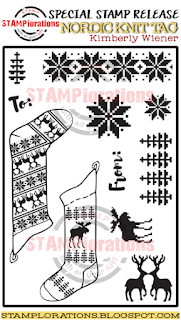 Special Stamplorations Stamp Release: Nordic Knit Tag!!!! 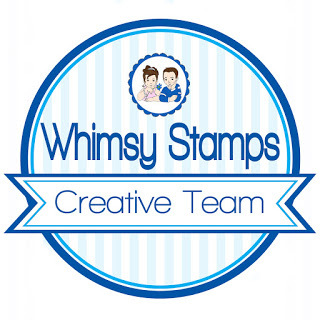 I am so excited that my friend, Kimberly Wiener, has released a stamp set with Stamplorations and I get to play with it! Woo hoo! And play I did! The set has a variety of images that work really well together. 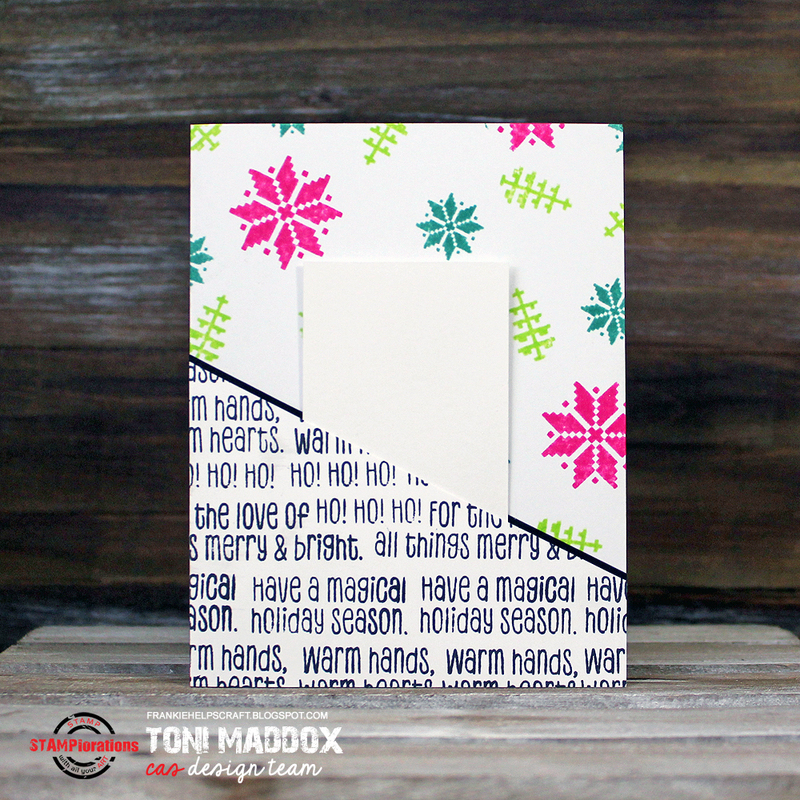 You could easily make a tag or two or twelve, or make full-size cards as I did. Love! With my first card, I used the Nordic star pattern across the Be Jolly die, rather like a traditional Nordic sweater. 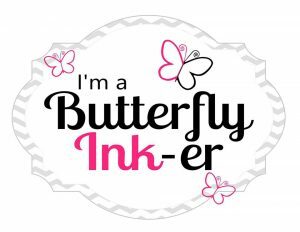 I used Distress Markers direct to stamp with no spritzing. The tree on top adds a touch of whimsy. For my second card, I went more masculine. 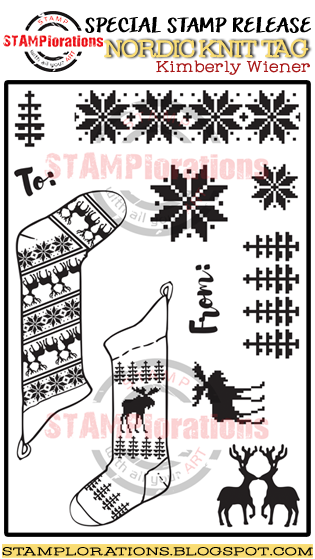 I used the sentiment from Warm Hands, Warm Hearts, embossed in white on black as a mantle, hanging the stocking from it. I love the simplicity. For my final card, I went more whimsical and yet practical too. 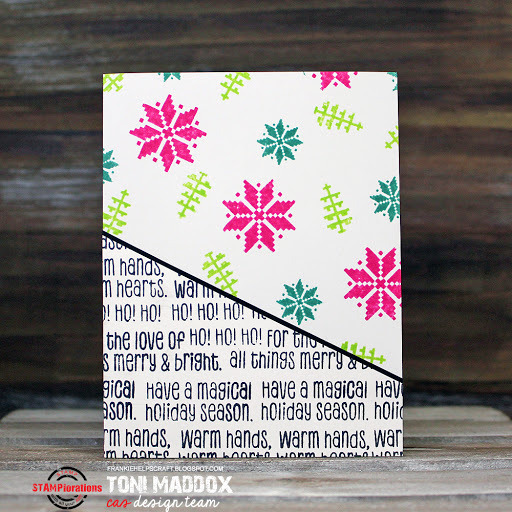 The card front can act as a gift card holder if desired or is totally cute on its own. 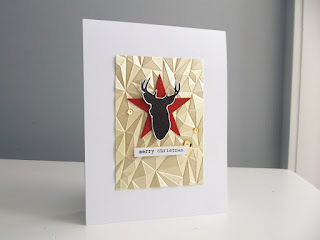 Did you all see Shona's fantastic card (see below)? The moment I saw it, I presented it to the gals and asked if it was one they'd like to recreate during our crafty gathering.  Overwhelming enthusiasm, all thanks to Shona's original design! 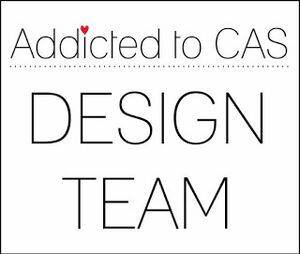 In my CASE, I made the banner sentiment more prominent and added glossy accents to the deer head. 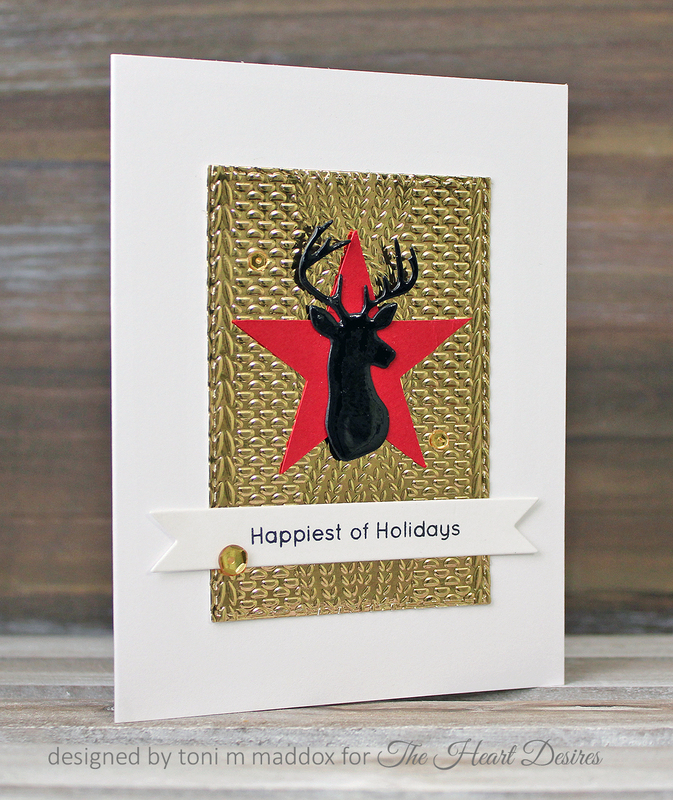 I love how that looks against the matte red star (a standard design in te Scan n Cut) and gold foil knit background. Gold, red, shine--winners! A reminder about the latest Heart Desires Challenge #6. I used an animal and the colors in this card. So many creative possibilities! I think this is my favorite The Heart Desires Challenge pic yet! This round you're able to use the colors, creatures (including MANimals) and/or the sketch. I used all three! A record! 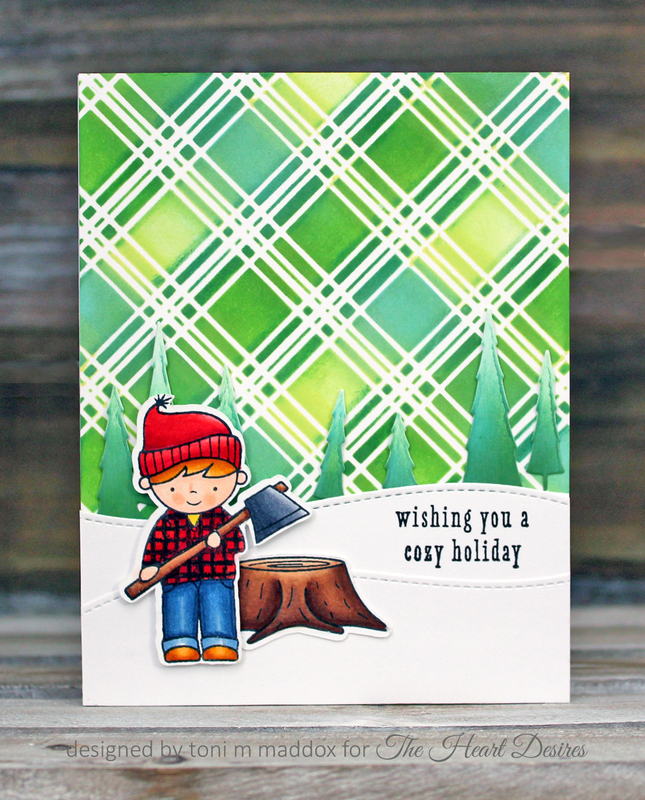 I inked up the Carta Bella plaid stencil (swoon!) with 3 shades of Distress Ink. I didn't mask, just let the ink fly. Love the somewhat rough effect. 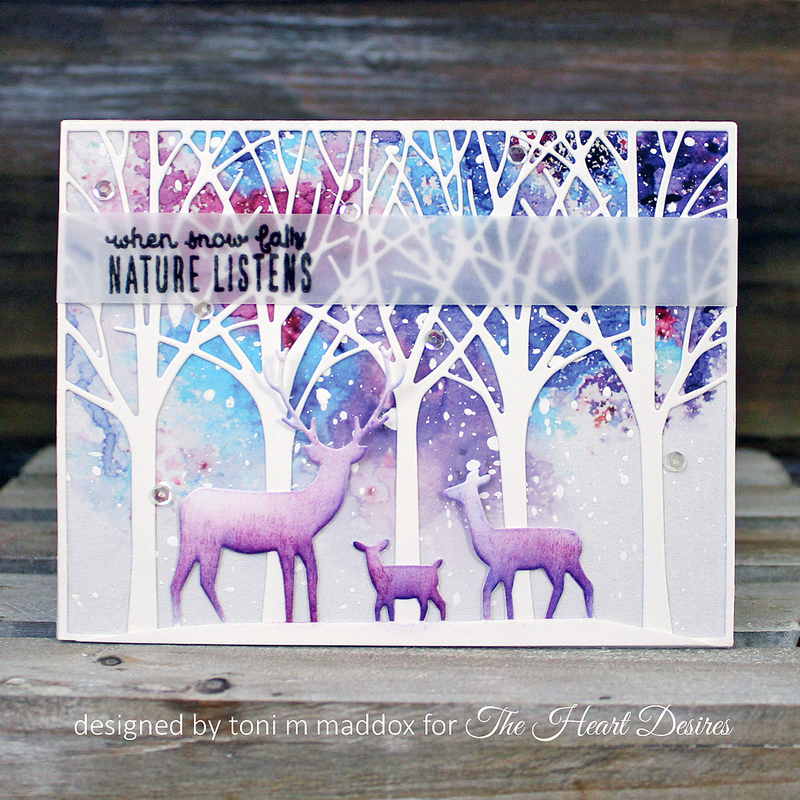 The trees I also inked up with Distress Ink as well as some Hero Arts Unicorn pigment ink for a snowy peak effect. 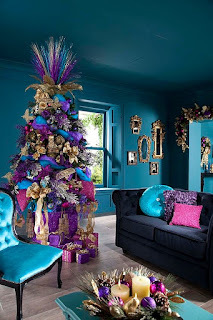 Did you notice the one leaning tree? Timber! The little man and stump are inked with Copics. OMG, so cute! Btw, these and other of my favorite Distress Inks are now available in The Heart Desires Store. Woo hoo! 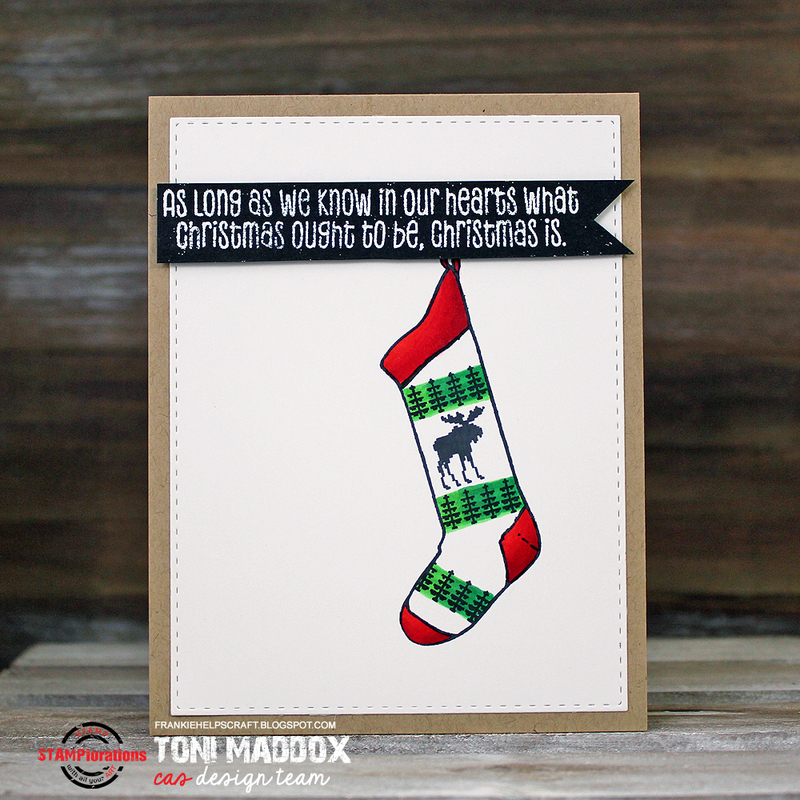 I have another card based on the current The Heart Desires Challenge for you today. I used the element of creatures for my non-traditional holiday card. This card took very little time at all and yet it looks like it took forever, right? 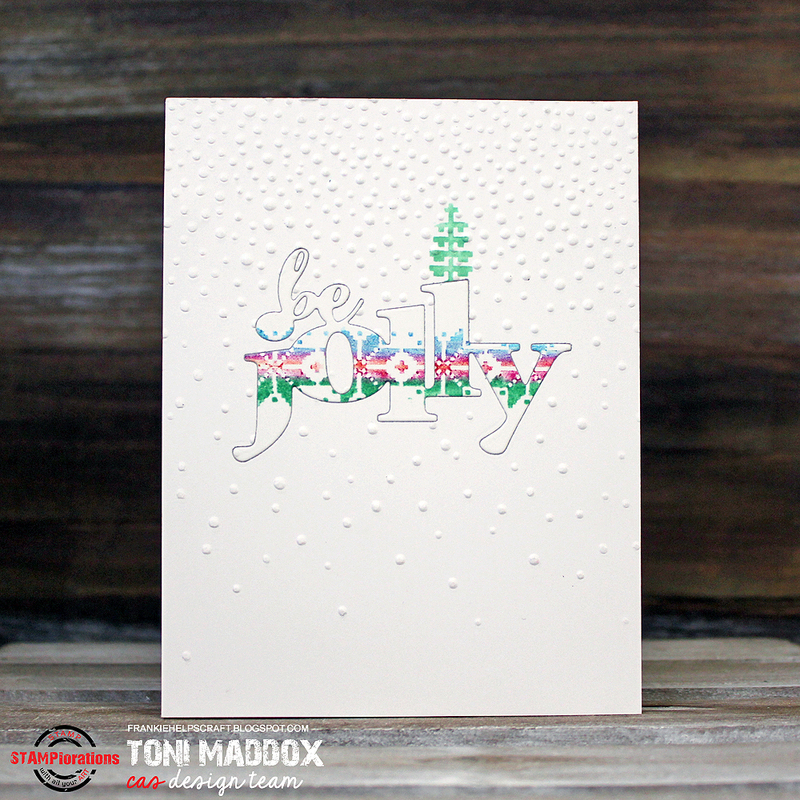 I used Ken Oliver pre-printed Color Burst paper (all the glam without all the mess!!!!) as the background. I did add my own touch by spattering it with Copic Opaque White snow. The deer trio are sponged mostly with DI Seedless Preserves plus a bit of whatever was left on the round ink applicator, probably Wilted Violet. I think they're so pretty in the purples. Imagine if they were like that in real life. What a different world we'd be living in! Stamplorations Holiday Tagplorations Hop, Day 2! Happy Little Stampers CAS November Challenge! 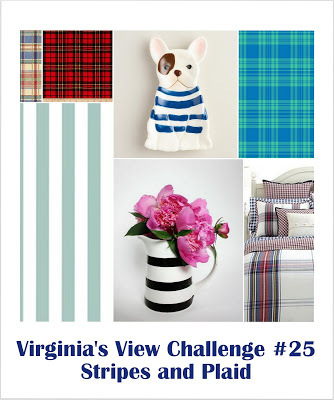 House of Cards November Challenge!